Quarterback Russell Wilson appears to have agreed a new long-term contract with the Seattle Seahawks after uploading a video on social media in which he said, "we got a deal". The Super Bowl XLVIII champion and six-time Pro Bowler was due to become an unrestricted free agent next year and had reportedly given Seattle an April 15 deadline to offer an extension. It seemed that date would pass without Wilson agreeing fresh terms but, after midnight on the United States' west coast, the 30-year-old uploaded a video on his social media channels which suggested a deal had been struck. 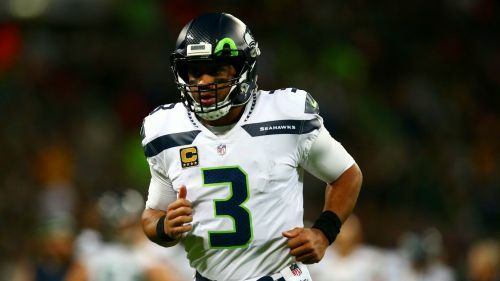 According to a report by ESPN, Wilson reached an agreement on a four-year, $140million extension, with a $65m signing bonus, which would make him the NFL's highest-paid player. Alongside his wife and R&B singer Ciara, Wilson said: "Hey Seattle, we got a deal. "Go Hawks. But I'm going to see y'all in the morning. Time for y'all to go to bed." Ciara added: "Finally, we can go to sleep!" A third-round draft pick in 2012, Wilson has led the Seahawks to two Super Bowls and the playoffs in six of his seven seasons in the league.